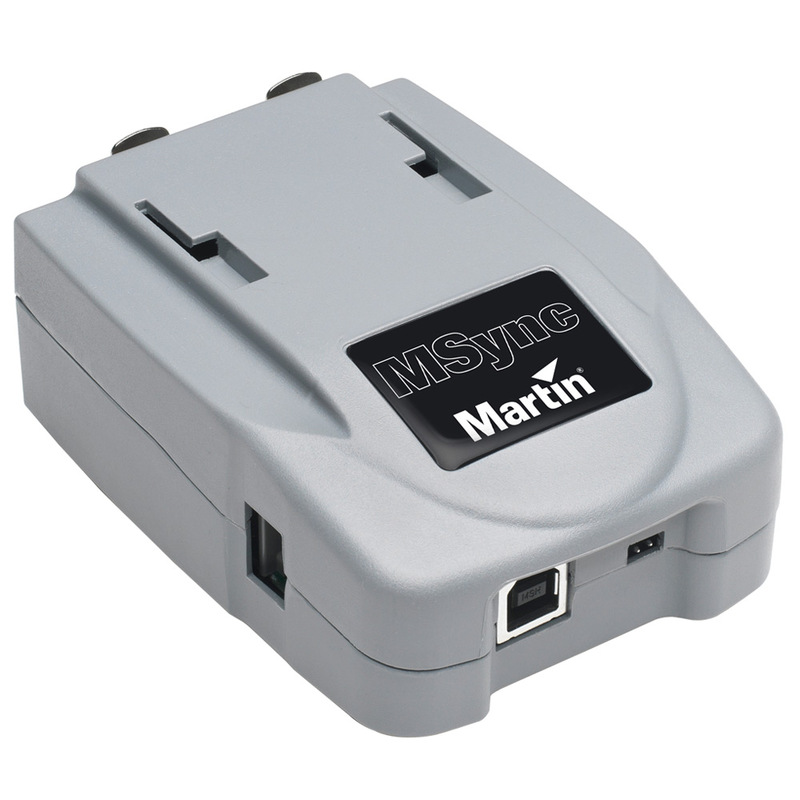 The M-Sync is a simple USB device that allows SMPTE timecode to be input directly into any Martin™ M-Series console - M1, M2GO, M2PC, M-PC. M-Sync requires NO driver installation. All required drivers are installed with the M-PC software and included in the Operating Systems for the M1 and M2GO. Frame rates: 24, 25, 29.97 and 30 frame/sec. Timecode In/Out: 2 x 3-pin locking XLR, 1 x male, 1 x fem.